I am certainly not a connoisseur of coffee by any means, but I do have an unwavering fondness of it, and not necessarily because of its flavor. For many, coffee rituals embody characteristics of familiarity, comfort, and warmth--like having your favorite food prepared by your mom. (Yes, I went there.) Given the warm fuzzy feeling it emits, I decided to venture out into our great city to experience coffee rituals at a few local shops. There is a lot of good options, so I chose a few based on their location and menu. My go-to coffee drink is simply black with the occasional cream added, but for adventure’s sake, I chose latte’s today. A decision I did not regret as my local tour got underway at Meg’s Daily Grind. This family owned and operated local hot-spot is a favorite of many. With several shops throughout the area, “Meet me at Meg’s” is just the thing to say whether you are a local or a visitor and planning a visit. On a morning with temperatures below zero, delicious warm drinks were served up to guests immersed in conversation as quintessential coffee shop sounds and aromas filled the room. I was in my glory. Meg’s features a latte of the week, which was thin mint this week. I saw that and knew instantly that I had won the latte lottery. My “winnings” were served up with a healthy (only by its proportion) serving of whipped cream on top. It was delicious. Every. Last. Drop. If coffee is not your thing, please do not be deterred, there is a variety of menu options to choose from. 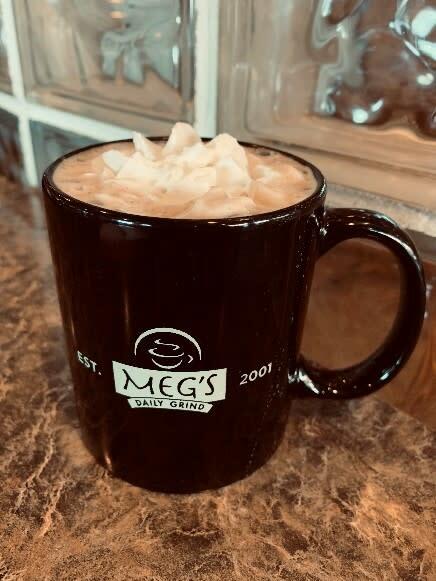 Stop in to see the Meg’s family, you will be glad you did. Fresco at the Gardens, more commonly known for their fresh, locally-sourced menu also has a java lounge and a great menu of drinks to support it. 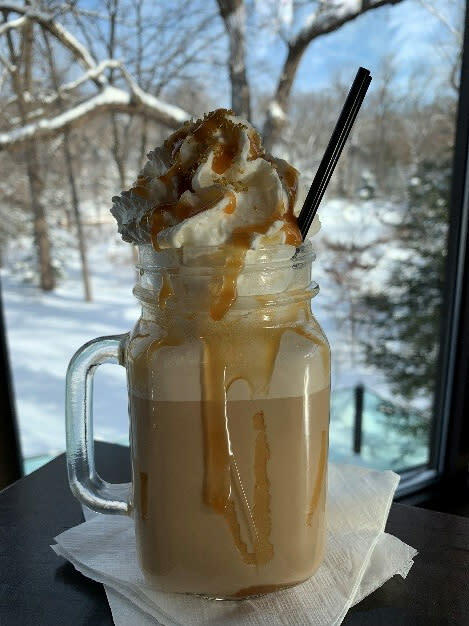 As a believer that the coffee ritual entices as much as the beverage itself, their setting for your coffee ritual may be the most beautiful in the area as it overlooks Anderson Japanese Gardens. Here, I enjoyed a caramel latte, which undeniably was one of the most visually impressive drinks I have ever had. I sipped my gourmet beverage within the comfort and warmth of their indoor space while being encapsulated by the beauty of the outdoors surrounding it. Enjoy it solo, or with company—there’s no wrong way to experience it. Just be certain that you do. 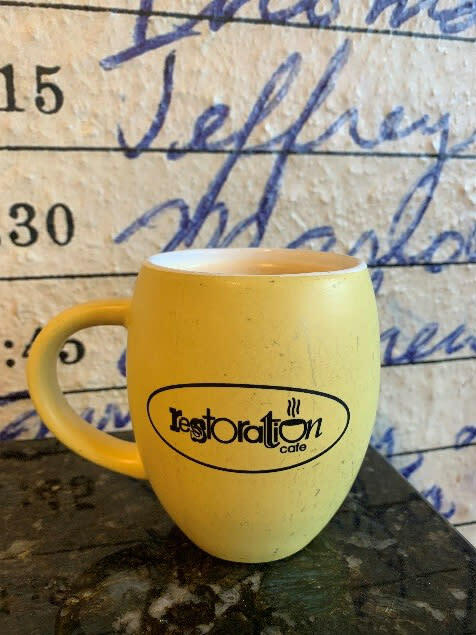 My tour ended at Restoration Café, an endearing café bursting with eclectic flair and a mission to give back to the community by providing vocational training in culinary skills, customer service, and allows trainees the opportunity to obtain their Safe Food Handles Certificate, as well. On this cold wintry day, the atmosphere in the café was very inviting. 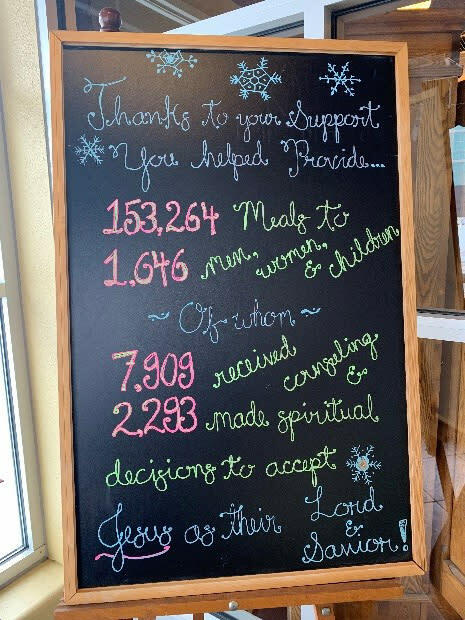 The walls are adorned with antique accents, an enlarged vintage photo, and an oversized ledger dating back to the 1970s showcasing signatures of individuals committing to Christ. The welcoming décor coupled with a warm greeting from friendly staff members instantly told me that I would have to make a return visit in the very near future. The feature latte of the day was white chocolate coconut. Be still my heart. (If this keeps up, my days of black coffee are over.) I did not succumb to it, but the force was strong. Served in a sunshine yellow mug that alone warmed my heart, I enjoyed a regular latte that was beautifully balanced and wonderful. If feeling at home the moment you enter place is your ideal setting for enjoying a great coffee, Restoration Café is a great place to do it. If you are lucky, it will be served in that adorable mug. 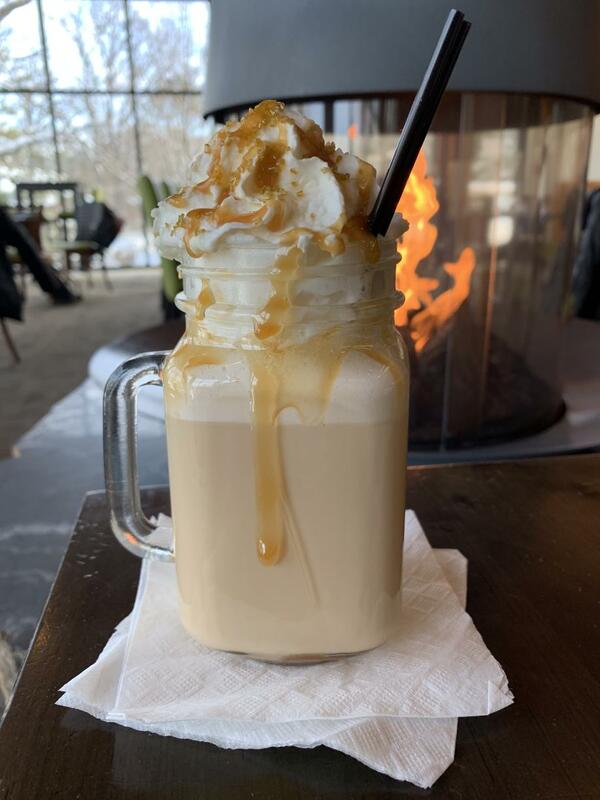 These are only a few of many places in Rockford serving delicious warm beverages and perfect atmospheres to compliment them. If time allowed, I would visit and feature them all. (Contact my boss if you think I should.) I hope in reading this you are inspired to find the setting that speaks to you, and when you do, I hope you have an opportunity to reflect on all the reasons why it does.